A new graduate tax credit of up to $1,000 per year for five years to graduates receiving at least a two-year degree, with earned income, and maintaining Wisconsin residency. This new refundable credit will build our workforce by keeping new graduates in Wisconsin and encouraging students that grew up in Wisconsin and have gone to college out-of-state to come back to begin their careers in Wisconsin. This will provide an estimated $8 million in tax relief in FY20 and $62 million in FY21. A 50% increase to the refundable Homestead Tax Credit for seniors (62 and older). In addition, the Homestead Tax Credit for Seniors will be indexed to inflation in future years to help claimants of this credit stay in their current residences. This increase furthers the Governor’s overall effort to alleviate the property tax burden on Wisconsin residents. This significant increase in the Homestead Credit for Seniors will provide some $61.8 million in tax relief in FY21. As an example, an eligible senior with a property tax bill of $3,000 and income of $20,000 would see an increase of $867. The average increase benefit would be $483. A new nonrefundable tax credit for child and dependent care expenses equivalent to the federal credit. This new state tax credit will allow eligible taxpayers to claim a credit ranging from 20% to 35% of qualifying expenses. The percentage a taxpayer may claim depends on the taxpayer’s adjusted gross income and declines as income increases. Up to $3,000 of qualifying expenses may be used for determining the credit for a claimant with one dependent. Up to $6,000 of qualifying expenses may be used for determining the credit for a claimant with two or more dependents. This will provide an estimated $52.9 million in FY21 for families with child care and/or dependent care expenses. As an example, a family of four with two eligible children, $8,000 in child care expenses, and $50,000 in income per year would save a maximum $1,200 per year. The average benefit per claimant is roughly $500. An enhanced Earned Income Tax Credit (EITC) for claimants of this credit who marry. By allowing couples who have married to claim the larger of what they could claim under the EITC in that tax year or what they claimed for the EITC in the previous tax year, and allowing this treatment for up to three years, an existing marriage penalty in the tax code for lower-income earners is reduced. This enhanced benefit to married lower-income filers will provide an estimated $1.4 million in tax relief in FY21. $6 million to expand workforce programs including Youth Apprenticeships to middle school. $7 million to provide scholarships for workers who need additional training. $5 million to expand dual enrollment programs, which allow students to be enrolled in two different academic institutions (i.e. high school and college courses). $2 million for the Wisconsin Technical College System to train workers most in-need. 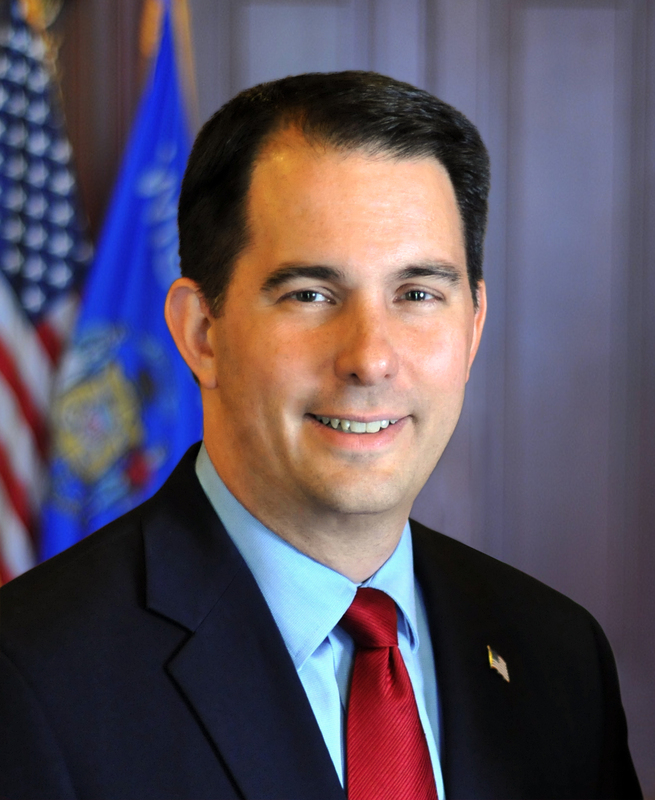 An increase to the Wisconsin Fast Forward worker training program by $5 million and block granting the program so the Department of Workforce Development can target funding to high-demand programs. $5 million for the Commute-to-Careers Program partnership between the Department of Workforce Development and the Department of Transportation which helps connect people without access to reliable transportation to jobs. The Department of Health Services (DHS) is proposing funding for lead abatement in their agency budget submittal. An amount of $4.75 million GPR over the two-year budget will be included to match nearly $27 million in federal funds for a total of $31 million to fund lead abatement activities in homes where Children’s Health Insurance Program (CHIP) eligible children live or frequent. DHS will also include $1 million GPR per year for a program that would do the same, but in non-CHIP eligible properties. They will also include performance payments for Medicaid HMO’s to perform lead testing twice before age 2 funded at $1.4 million GPR per year and $500,000 per year for peer-to-peer outreach among physicians to promote lead testing of children, especially those at high risk for poisoning. This addition would bring the overall total for lead removal initiatives under Governor Walker to $42.8 million. The Department of Safety and Professional Services is proposing the creation of an alert system so prescribers know if an individual is being prescribed opioids for the first time. This will ensure the individual is aware of the type of drug they are being prescribed, what its effects are, and what alternatives are available. The Department of Safety and Professional Services is proposing to require first responders that administer Naloxone to report that to the state along with other current reporting. This will be shared with the Prescription Drug Monitoring Program so prescribers will have the information when dispensing prescriptions.